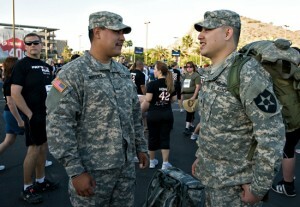 Home » Career » Interested in military service? Join the ASU/Army Master’s Degree Fellowship Program! Interested in military service? Join the ASU/Army Master’s Degree Fellowship Program! The ASU/Army Master’s Degree Fellowship Program (A/A MDFP) is a partnership between the Office of Distinguished Graduate Fellowships and the U.S. Army Department of Military Science at ASU to identify and fully fund suitable master’s degree students at ASU in almost any field. A/A MDFP will pay full tuition and fees, a monthly stipend and a separate allowance for books and supplies. 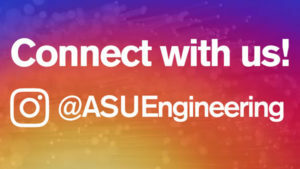 Must be either admitted to, in the process of applying to or intending to apply to a full-time two-year on-campus master’s program at Arizona State University. Generally, must be under 30 years of age—however, waivers of this requirement are available. Must be able to pass a fitness test. Must have an interest in becoming an officer in the Army, National Guard, or Army Reserve — a commitment to serve as an officer for a limited time is required. Preparation and endorsement by the Department of Military Science at ASU are required; attend an information session for details.